Neighbors 2: Sorority Rising as well as Netflix’s hit series Orange Is the New Black. This year, she will star in Greta Gerwig’s new film Lady Bird, set to be released in November. 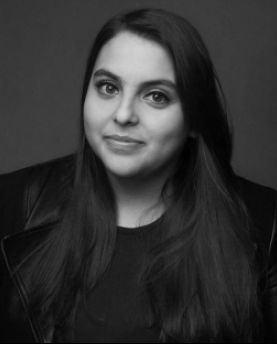 We are thrilled to have Beanie Feldstein On the Couch. I’m really good at keeping in touch. If I love you, you’re screwed… cause I’ll never let you go! Graduating from Wesleyan University. There were many days when I thought I wouldn’t finish college. And I am SO happy I did! I never valued the academic side of myself in high school, but I really found it during those four years. Campari and club soda. My friends all hate it, but I love it. Cupcakes. But also the thought of not eating them makes me deeply upset. I hate this question! I would love to own a summer camp. Watching “Gilmore Girls” from start to finish over and over and over. Oy… everything. I’m a walking allergy attack waiting to happen. I’m allergic to fragrances and most skincare… so Bath and Body Works? My parents are the most generous people. I would say generosity is the trait my brothers and I all share that is a direct result of their beautiful example. Watching my friends shine. I swear I have the most talented, passionate group of friends that has ever existed and there is nothing better than watching them thrive. Those fidget spinner things seem unnecessary. A fly flew into my mouth in the middle of shooting a scene on my first day. I could feel its wings flapping on my uvula. I had to kill it by coughing it up. Just imagine it… we are rolling and all of a sudden I am running around the room like a crazy person. It was the most embarrassing and disgusting moment of my life. He has to be passionate. I don’t care what he is passionate about; he just has to be passionate about something! I can’t stand idle people. I’m so allergic to cats that just reading the question gave me hives. If my nephews moved to New York. They either want the Bean or they don’t want the Bean.